I’ve gotten a few questions about this recently and I just wanted to clear up any confusion and allay any fears. If you know how to keep love and joy in your field, psychic attack is no big deal and it won’t affect you. There are a couple of forms of psychic attack. I consider a psychic attack to be anytime a being is flowing negative energy in your direction. This could be a lower vibrational nonphysical entity who just likes to meddle in the physical realm. They feed off of your energies, so they try to scare you so they can feed off of that. Another form of psychic attack is when people throw negative energy in your direction. This could be conscious – from a frienemy or a family member who is threatened by you. You are standing in your full light and power and so they deliberately try to bring you down vibrationally. Maybe through sharing bad news, draining you energetically in some way, or even just holding the intention of negative things happening in your experience. A third form of psychic attack is unconscious. This is when someone is not in control of their conscious mind and they are throwing negativity in your direction without even realizing it. Maybe they're just triggered and they think, “I hate that person. I hope they trip and fall and break their back.” or any other number of bad things. They’re throwing negative energy towards you. The other way (and this is the common method that lower astral entities will use) is to ping you with a lower vibrational frequency. It’s essentially saying, “Do you have any doors open?” This way, they can latch onto your energy or drain your light. They ping you, it reminds you of a frequency of the past, so you experience that frequency as a memory. You remember something bad that happened to you. You associate that frequency with that time you got dumped, when your grandma died, when your cat got run over, or when any other number of bad things happened to you. That frequency is connected with that past challenging emotion. 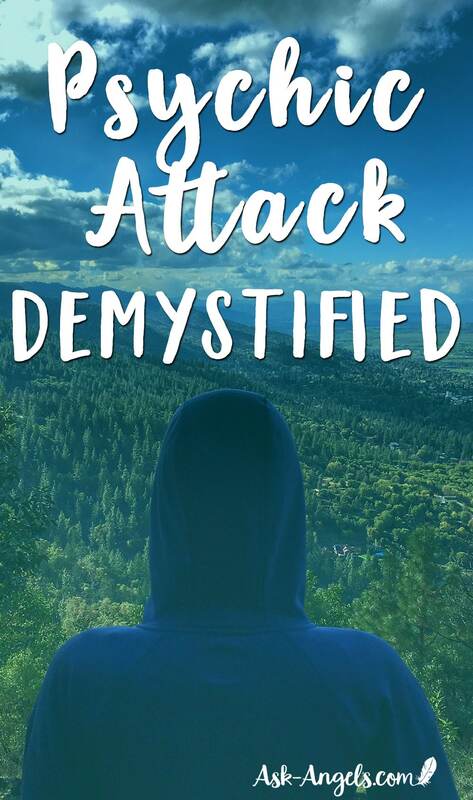 Whatever type of psychic attack you may encounter, you are able to easily protect yourself from being affected by it. All you need to do is keep love, light, and joy in your aura. I call this “holding the field.” When you are holding the field, you are in a positive vibrational state and your aura literally acts like a shield. Love, light, and joy are infinitely more powerful than any negativity that anyone can throw in your direction. When you're standing in love, your heart is open, your mind is clear, your aura is intact, you're not going to be affected. Even if a family member or a so-called friend throws negativity or holds an ill-wish about your life, you’re unaffected by it. When you do become affected by psychic attack, your vibration drops. If you are watching the news and you become worried, concerned, or fearful about what's going on, your vibration drops. Now there is an entrance for that lower vibrational energy to attach. Here's the trick. Release it into the light and return to love and joy. If you are able to do that, you’ve won. You’re unaffected and your vibration will not further drop. You’re able to return to love, joy, divine neutrality, and presence. However, if you spiral and engage with the past energy, if you dive into that past memory and dwell on it, you open up a hole in your aura. You will be adversely affected by the negativity. Another simple technique is to visualize a waterfall of light all around you. See it cleansing you from head to toe, rinsing away density, and revealing your inner light, brilliance, joy, and positivity. If a being then pings you with a frequency again and that same emotion comes up, you know what's going on. You may want to specifically ask Michael or your Guardian Protector Angels to clear your home or space of lower astral entities and beings. Check out my house cleansing prayer for a simple way to do this. You can imagine a light burst – a bomb of light – going off in your home, dissolving any lower vibrations into love. The light burst restores peace, light and clarity. This is why it's so important to choose love in every moment. If you feel a negative emotion, if you feel fear or pain triggered, love the part of you that feels afraid. Love the hurt part of you emerging. If you like this video, click here to subscribe on YouTube! 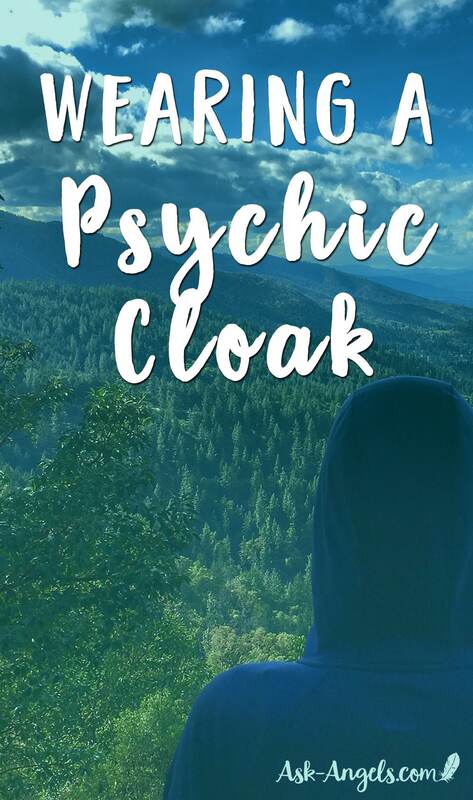 A psychic cloak is a form of psychic protection that not only shields, but also hides your light energy from any lower or negative or dark forces. Use it any time you're in a crowded or busy place when you want to shield your energy and prevent yourself from garnering any unwanted attention from negativity in any form.Know that when you wear a cloak in this way, it’s like the invisibility cloak that Harry Potter wears. You put on the cloak so that some people may not see you. Be careful with this if you use it while you're driving! Practice extra defensive driving because you might find other people cutting you off because they simply don't see you. You’re vibrating out of that level of awareness. Or when you’re walking around, if someone cuts you off, don't get upset. Just know that this can be a side effect of wearing a psychic cloak. If you sense that there are negative energies around that you just don't want to deal with or interact with, use a psychic cloak. For example, imagine you’re going out to dinner and you walk in to the restaurant and feel a really heavy energy. You want to stay and rather than clearing the building’s energy, you can cloak yourself. You can even cloak the person you're with to create a barrier of light protecting you. The great thing about the cloak is that within it, your vibration can shine brighter and brighter. You can shine the most brilliant, radiant heart light, expanding out and raise your vibration. 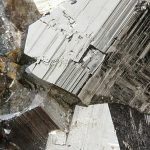 It helps you connect with the Angels without attacking any unwanted energies. Because here's the thing: When you shine your light brighter, you can – in some cases -attract lower vibrational entities or energies. Earthbound spirits may actually think you are the light, and instead of going into the light, they can attach to your energy instead of crossing over. Sometimes ankle-biter, lower frequencies may try to mess with you! Please don’t let that scare you or worry you. It's really not a big deal. It's just a little awkward. This is why we surround ourselves with light, to protect from these sorts of things. A clear sign that you’ve taken on lower energies is your mood. If it drops or you’re just suddenly feeling off-center, call in the Angels. “Angels, cleanse my energy.” Imagine a waterfall of light flowing around you. A psychic shower is a great way to cleanse your energy. As the water streams around you, imagine it’s cleansing you fully and completely. All negativity is released, dissolved, and transmuted into the light. The first time, I recommend asking the Angels to help you craft it. 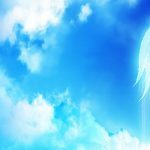 Check out my psychic cloak of protection meditation with Archangel Michael inside of “The Angel Solution” or the psychic protection course if you want greater detail. It's like a garment of rainbow and golden light all around you, shielding your energy from any and all negativity, any and all entities, and any and all lower vibrational frequencies. This cloak allows love, light, goodness, joy, gratitude to permeate it, but any negativity is dispersed and released into the light upon contact. Inside this cloak, you can then open your heart, confidently and boldly, knowing you’re safe and protected. You can shine brighter and brighter, standing in your authentic truth, your light, and your heartfelt integrity. 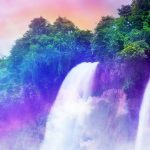 Know that you are fully protected, ready to head into any dense or negative situation, cloaked with the rainbow and golden light of the divine, assisted by the Angels. Give this a try. Next time you go into a busy crowd where you would normally take on negative energies from others, work with the psychic cloak to maintain your positive state, and just keep shining because your light is beautiful, vibrant, and so needed in the world. When you shine your light in the present moment, you're wearing the most powerful psychic protective shield. You are wearing your armor of love and light. Not only are you going to be unaffected by the lower vibrations of others, but when you're truly standing in your light, shining vibrantly, cords can’t attach to you. Psychic attack is like a little fly landing on your ankle. You might notice it’s there, you might want to swat at it and clear it out, but it's not going to ruin your day. It's not going to change your vibrational state. Hold the field of love, light and joy, stand in your authentic truth. Each moment you do, you're doing such powerful light work. It makes a huge difference in what you are manifesting in your life and in your ability to stay in a high vibrational state. Keep shining, keep creating, keep rocking out because we are here in this world to make a difference. We’re here to help the earth and humanity transition into a higher vibrational place. One of the most valid, effective, and powerful things that we can do is to shine our full light and keep returning to the present moment. Keep returning to love, presence, balance, and triality (If you haven't watched the “Divine Neutrality” video, triality is acting in the highest interest of the entire collective consciousness). Step back to gain perspective. Observe, light up your heart, shine vibrantly and know that when you do, there are so many blessings as a result. Psychic attack is not something to be afraid of. In fact, that is kind of the entire goal of it. Just stay in love and release fear into the light.